This character profile has been written for Zakhad, one of our supporters. If you enjoy it, you can check out the other profiles we’ve written, too! He can see it every morning, staring back at him through mirrored glass – the story of his life, etched in stone-hued skin and reflected in fiery hair. Zakhad never asked for the hand fate dealt him, it was delivered from birth. In the times that followed the War of Three Hammers, there was a line drawn in the sand between the Bronzebeard and Dark Iron clans. His mother and father saw that line, and gladly crossed it for each other. Perhaps in a different time, the strength of their love might have been enough to break through the hatred that kept their clans at odds. Storytellers and bards might have waxed on poetically about a romance so radiant, so joyful that its light shone brightly even in the darkest caverns of Shadowforge City, heralded by the first cries of a beautiful baby boy. But years of war fueled the hatred between both clans, stubborn as the stone from whence all dwarves were forged, once upon a time. Determined that their son survive, the two parted ways. Zakhad’s father took him to Ironforge, where he could learn and grow free from the shackles of Dark Iron society. Terrified of Emperor Thaurissan’s wrath should she try and escape, his mother tearfully stayed behind, lost in the shadowy depths of Blackrock Mountain. Zakhad grew up free from the Dark Iron, but his childhood was far from easy. The hue of his skin marked him as different the moment he arrived in Ironforge. His father, a Paladin, had earned enough respect over the years to shield his son from posturing adults – but not from the open, wary stares of youthful eyes. He was different. They knew it, and he knew it too, though his mother was scarce more than distant memory. And it plagued him, when he was young – the struggle to reconcile both halves of his heritage. His father spoke of his mother fondly and with love, but his peers spoke openly of Dark Iron hatred. Which was true – the cherished memories of his father, or the stark truth of history? Zakhad didn’t know. But when he came of age, he dutifully reported to the Hall of Mysteries. There, he was called not to follow the path of the Paladin as his father before him, nor the fascinating tangle of arcane arts his mother had supposedly wielded. His mother and father were on opposing sides, and Zakhad stood with a foot on either one. And while the Hall taught both Paladin and Mage, there was a third option, one that wove both together and offered peace and inner balance in kind. The Priesthood. The soothing call of the Light his father followed was there. But there was darkness, too – shadow, reminiscent of his mother, of the ashy cast of his skin. He took to it as naturally as he’d taken to anything else in his life. And in both, he found peace. 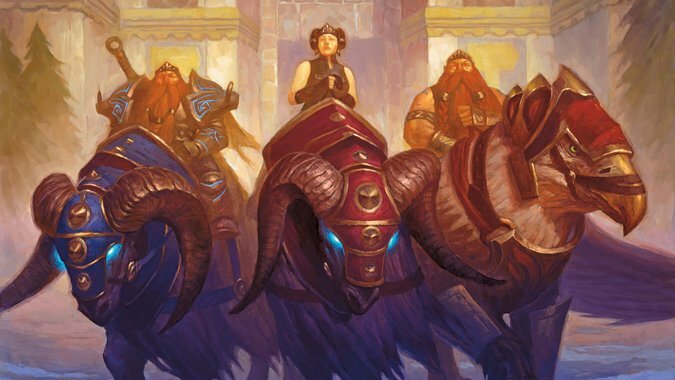 Moira’s arrival took Ironforge by surprise, but none so much as Zakhad. 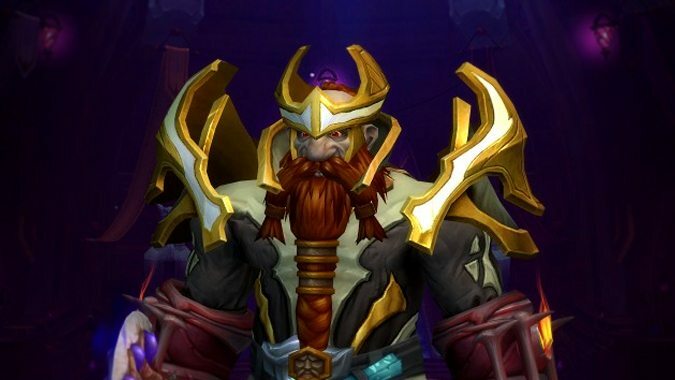 The Dark Iron were his people just as much as the Bronzebeard. 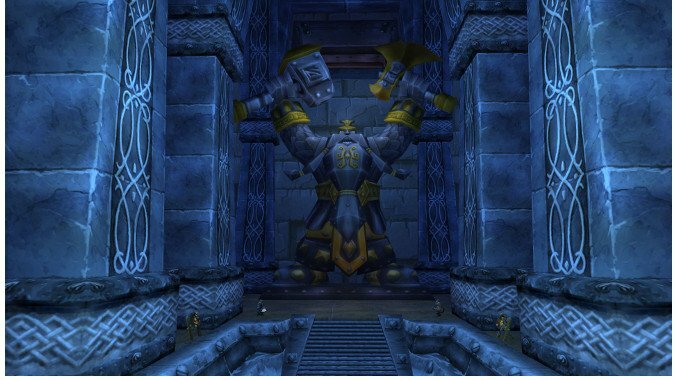 The thought of both dwelling in Ironforge side-by-side was nothing more than a passing dream when he was a boy – but here it was, a dream fully realized. But despite the number of Dark Iron forces…his mother was not among them. Zakhad’s father hopes to eventually reunite with his lost love – and Zakhad hopes to reconnect with a mother he scarcely knew. Over time, the fires of hatred have dwindled down to mere embers. Zakhad has grown from uncertain youth to skilled Priest, far wiser in the ways of the world, but never forgetting where he began. Sometimes heroes are simply born, others are made over time. Zakhad was forged in iron. This character story was written as part of our supporter benefits. Want to see yours? Support us at the $25/mo level and Matt or Anne will write it up.